Build of 337m² on a 1000m² plot. 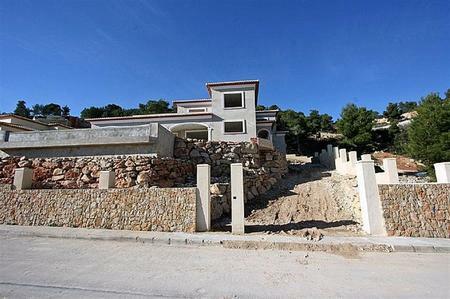 Investment for Sale in Javea. Situated in Cansalades-Tossalet in a peaceful hillside location. New construction quality villa, can be completed in 4 to 5 months. Larger than average bedrooms and living room. 4 bedrooms, 3 bathrooms, 1 WC, lounge with fireplace, separate kitchen, covered naya and large open terrace. Fabulous panoramic countryside and sea views. Only 2.5km from the Arenal beach. South East facing. Extras include: Fireplace, Air-Conditioning, Heating, Garage.